Body Parts in Japanese. My ... Hurts! Here's a useful phrase and a few body parts if you ever get into any accidents in Japan! To say "My .... hurts", you simply say the body part followed by . Click the body parts below to hear the pronunciation. 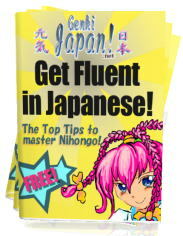 You'll probably also notice that in Japanese you say the same word for "leg" or "legs" and "foot" or "feet". But strangely enough they are written with different characters. So in this game you'll have your first kanji test, telling the difference between ( foot or feet ) and ( leg or legs). Just remember that the leg one looks chunkier than the foot one! OK, have a try with the game. To make it more fun, get a friend on another computer and see who can finish the quickest. 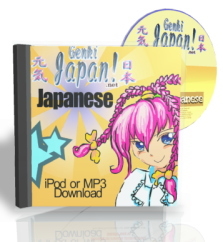 The English version of this game is on CD4. 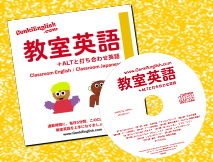 If you teach English in Japan you might be interested in my new Classroom English / Classroom Japanese CD.